So, here it’s false, we want to change it to true. Do that by running the following command. Bam, problem fixed right? Well, in this case, no. The user was still receiving them. Well, I started digging a little more. Here is the basic background. An admin was scheduling appointment’s for her boss, and the boss was receiving these messages. She would either create the invitation on behalf of the boss, and invite attendees, in which case the forwarded emails would come, or edit a pre-existing appointment, in which case they would also be sent out. Needless to say, the boss wanted it fixed! We had recently moved her mailbox to Exchange 2007, which is when the issue began. We investigated the issue a little further. Turns out, she had been given access to the boss’s calendar by the boss right clicking his calendar and changing the share permissions. So, now we have the permissions the same, but the user is a delegate. Again, on Paul Ponzeka’s Outlook, we create a meeting request in Adam Smith’s calendar, NO MESSAGE! We tested the rest of the ways the admin was creating invites, all resolved. It seems there is a bug that causes these messages, unless the user is a delegate. It also seems like the “Remove Forwarded Meeting Notifications” setting in powershell, only applies if the user is a delegate. Just for thoroughness, we tested with both the “boss’s” mailbox, and the “admin’s” mailbox on an Exchange 2007 server, and the exact same behavior was exhibited. It seems it doesn’t matter where the boss’s mailbox is, 2003 or 2007. In this example, the organization was running Exchange Server 2007 SP1 with Rollup 7. Is there any way to prevent those notifications from being generated in the first place? Setting MeetingForwardNotificationEnabled on all RemoteDomain objects does not seem to work. Not being picky, honest. It just won’t even run unless it’s corrected. The Forward message is generated locally and can be seen in the outbox Folder. 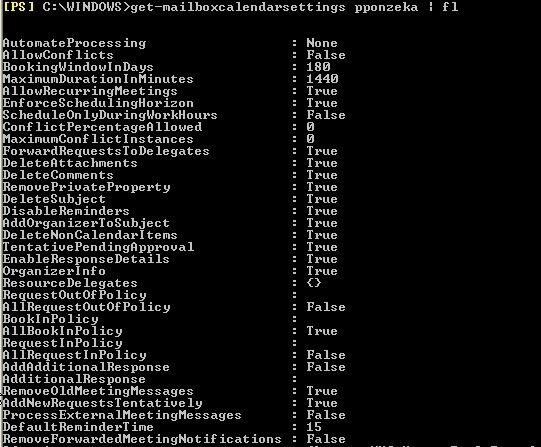 Is there no possibility for a user to prevent creating the Forward messabe on the local pc (Outlook 2013) ? Not every user has access to the Outlook Server Shell. In toher words the above is just a admin-solution and not a user-solution.